Just a little too high on the input lag to stay in consideration. The additional sharpness is something you'd notice in a side-by-side evaluation, but the input lag is something you'd notice every time you fired up a multi-player game, and you keep getting killed even though you could swear you shot first. That's about 4 frames of lag in a 60fps game. The lack of 3D is a bit of a deal killer too, even though it seems as if it's only going to be for legacy disks from this point forward. DLP does such a high quality 3D picture too, no crosstalk or ghosting. It's a shame they don't have it. Please expound on your comment "We are not fans of HDR so we don't miss this particular feature". I can understand the issues with compatibility at this point and lack of sufficient source material, so advising consumers to stay on the sidelines is understandable. However, what about HDR as a concept/format is objectionable or uninteresting? Lain, thanks for the question. This HDR thing is a matter of personal taste, so I would not pretend to make any definitive pronouncements. In my own personal experience, HDR looks fake, often to the point of distracting. It is worse on flat panels where dazzling extreme contrast just looks absurdly artificial. 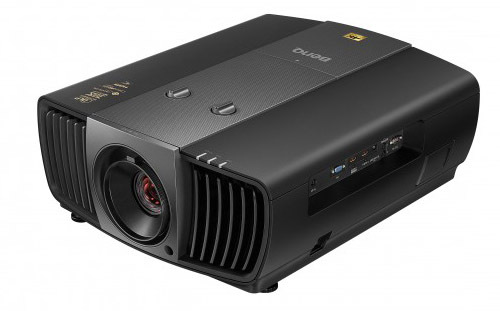 But even on projectors, HDR can take you mentally out of the movie experience and draw attention to itself. That is bad news. As an example, when viewing Bourne Supremacy in HDR, you see a series of dark, indoor scenes, then it switches to a snow-covered outdoor scene. The extreme sudden change in light level can be physically painful and make you squint. To me, this is not a good viewing experience. It disrupts the emotional engagement in the film and makes you think instead about HDR. It is a flaw, just like fan noise or rainbows--something that ends up distracting from the viewing experience. Obviously others have more appreciation for HDR than I do, which is fine. But to me it is another CE industry gimmick designed to move units. An excellent, well balanced SDR picture on a projector with solid contrast is more engaging, less technically distracting to me. You kinda commented on the brightness distraction. What about WCG. On movies, for me, I do not see or prefer the difference. On the few documentaries, those can be remarkably different (I do not know if they are more accurate, however). I would guess that the Rec 709 HDTV color space was chosen with some thought that it covers the majority of what we experience. Saturating those colors more with WCG will certainly generate a difference (maybe even night and day, as some are so fond of saying), but better???? ?